The company presented this product at European Wind Energy Association (EWEA) 2015, one of the sector's hallmark events, which is taking place in Paris (France) between 17 and 20 November. The new platform builds from the technology proven in the company's 2.0 MW and 2.5 MW platforms, installed in 35 countries (cumulative installed capacity: 20.9 GW), by leveraging the same mechanical and electrical systems but boosting nominal capacity to 3.3 MW. 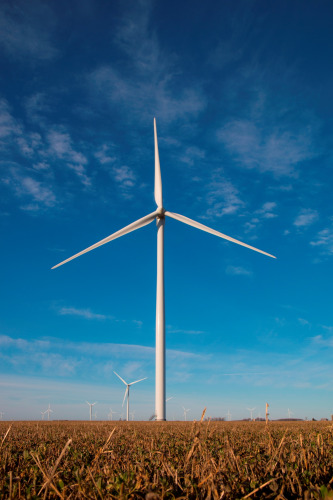 José Antonio Malumbres, Gamesa's Chief Technology Officer stated: “This new product is the only turbine in the market designed for medium wind speeds which combines a 132-m rotor with nominal unit capacity of 3.3 MW. This guarantees an optimal capacity factor and, by extension, maximising output”. According to Gamesa, this new turbine's blade, which is made from fibreglass and stretches 64.5 metres, features a new family of aerodynamic edges which increase annual output while minimising noise emissions. The new turbine also comes in four different tower heights, which range from 84 to 134 metres, so that it can be tailored for each region's specific requirements. The company claims that, as a result of this combination of technologies, the G132-3.3 MW delivers 50% and 30% more energy than the G114-2.0 MW and G114-2.5 MW (both also turbines for class II winds), respectively. The first G132-3.3 MW prototype will be installed in mid-2016, while serial production is scheduled to begin during the first quarter of 2017. The company expects to secure type certification by the end of 2016. These turbines not only produce more energy in medium wind speed conditions, but according to Gamesa, they also contribute to the effort to contain climate change: the company claims that a wind farm equipped with ten G132-3.3 MW turbines would generate sufficient equivalent energy to supply a town of around 50,000 inhabitants and prevent the emission of 49,500 tonnes of carbon dioxide (equivalent to the emissions of 16,500 cars).